The ProKennex Ki Q Tour 325 tennis racket has been produced for advanced players who play with a full swing and seek additional power and speed. This racquet is used by Andreas Seppi, ranked in the ATP top 50 players, and is thin-beamed and offers control over shots. The racket provides great shock absorption which helps protect arms from being injured thanks to the Kinetic technology. And the Spiral Tech Carbon system strengthens it, meaning more power, control and feel are available to the user, taking playability up a notch. The head measures 98in2 (630cm2) and the frame weighs 325g (11.5oz) with a head light balance, improving feel and manoeuvrability. 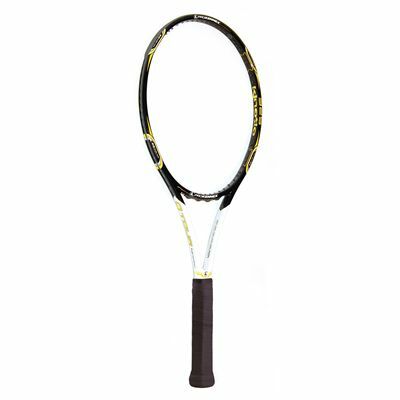 The racket is made from graphite for added stiffness and strength and is supplied with a full-length protective cover. for submitting product review about ProKennex Ki Q Tour 325 Tennis Racket.